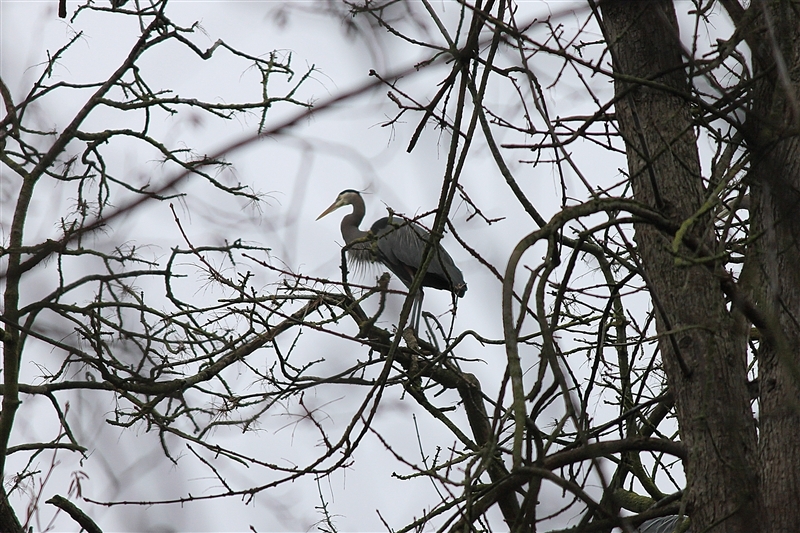 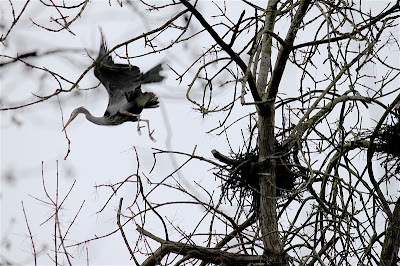 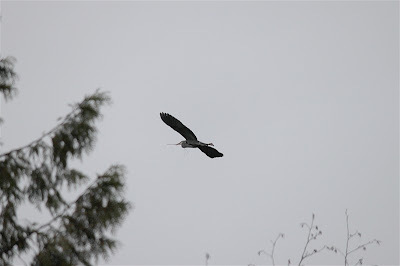 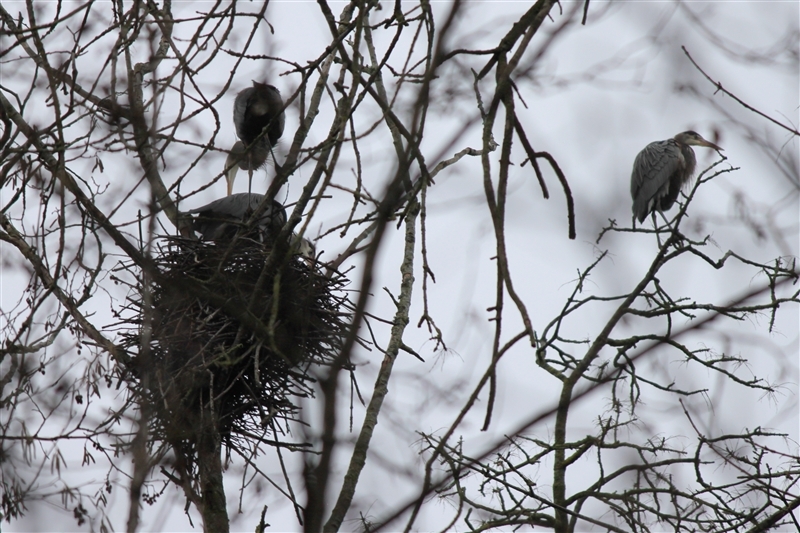 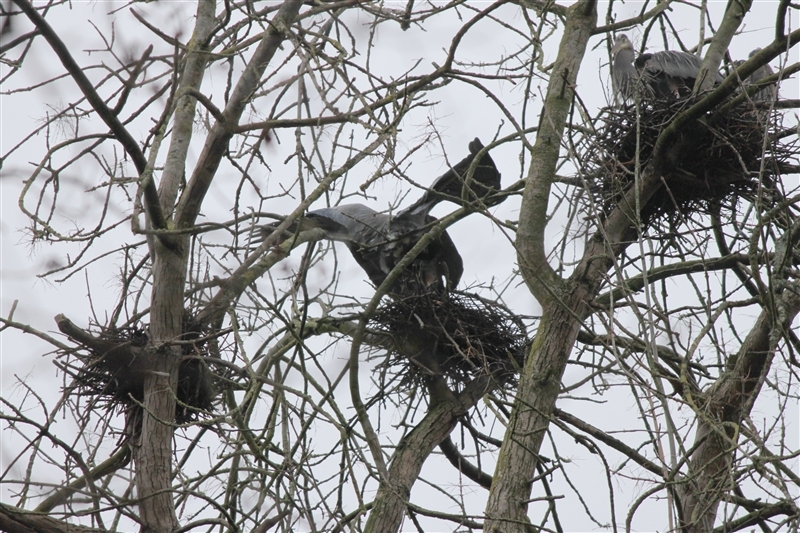 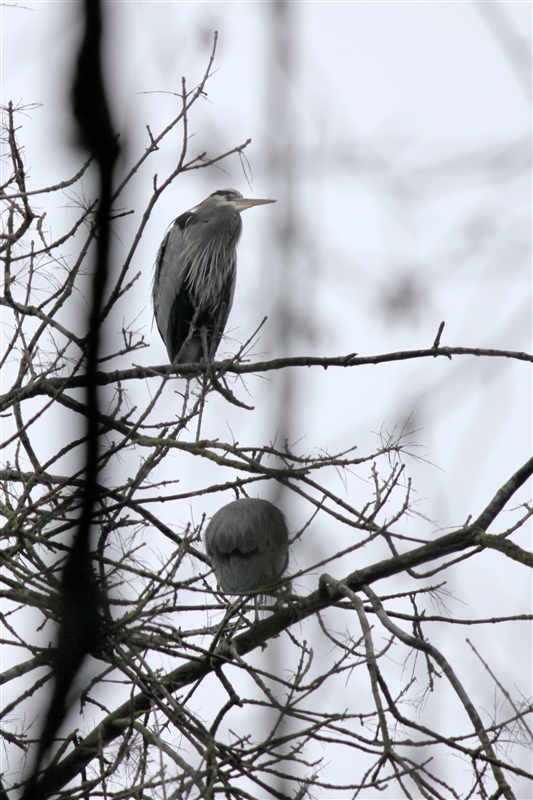 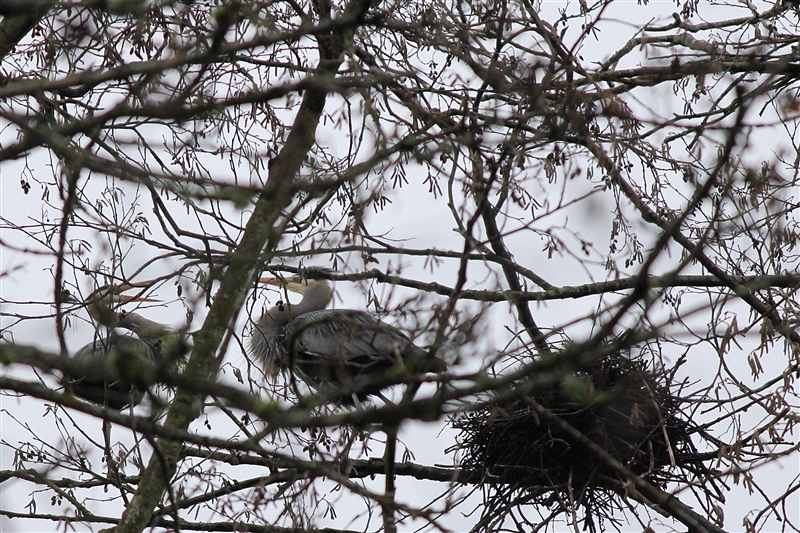 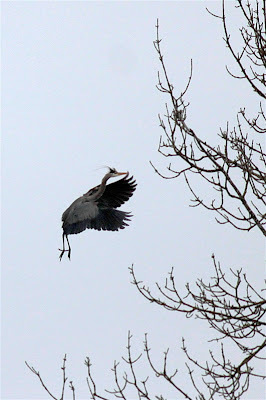 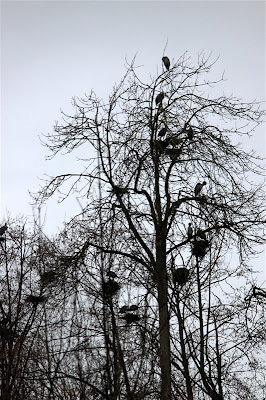 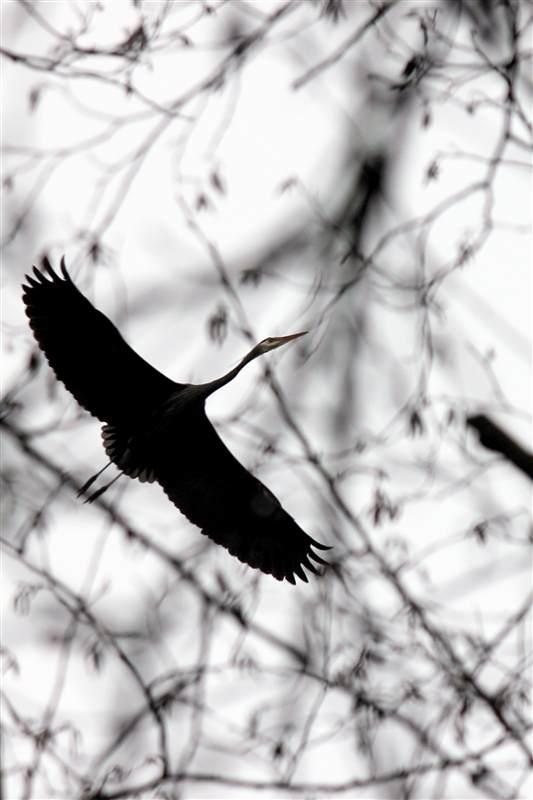 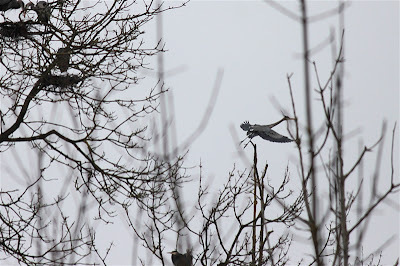 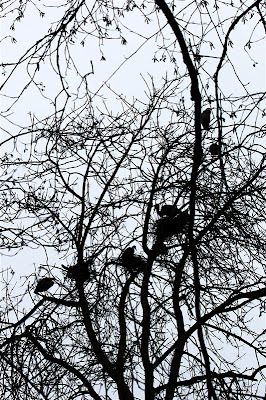 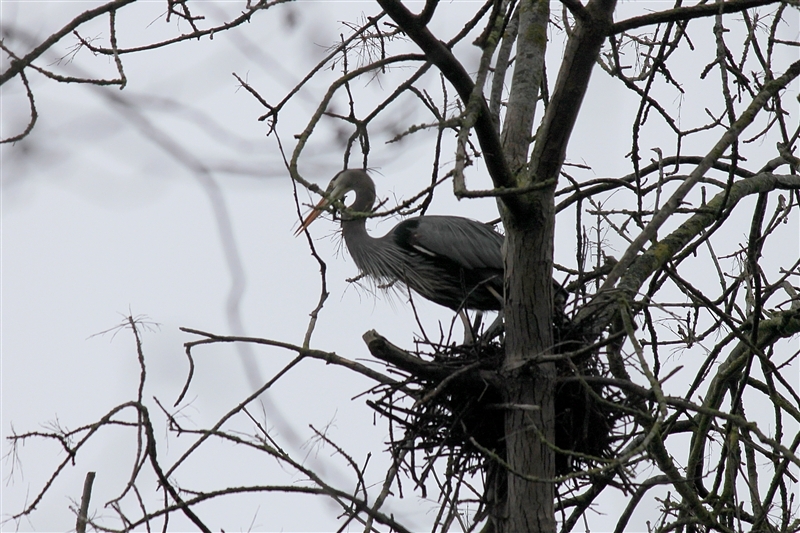 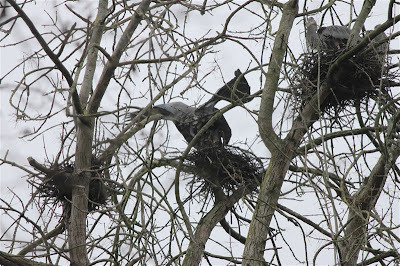 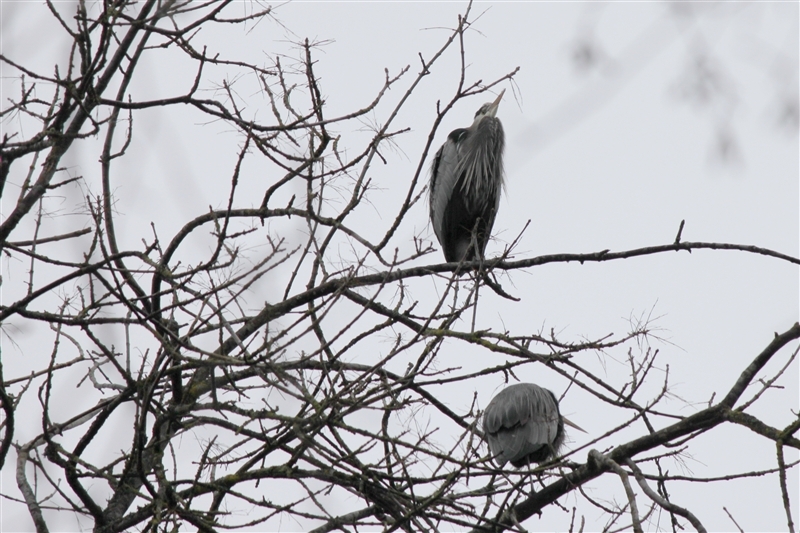 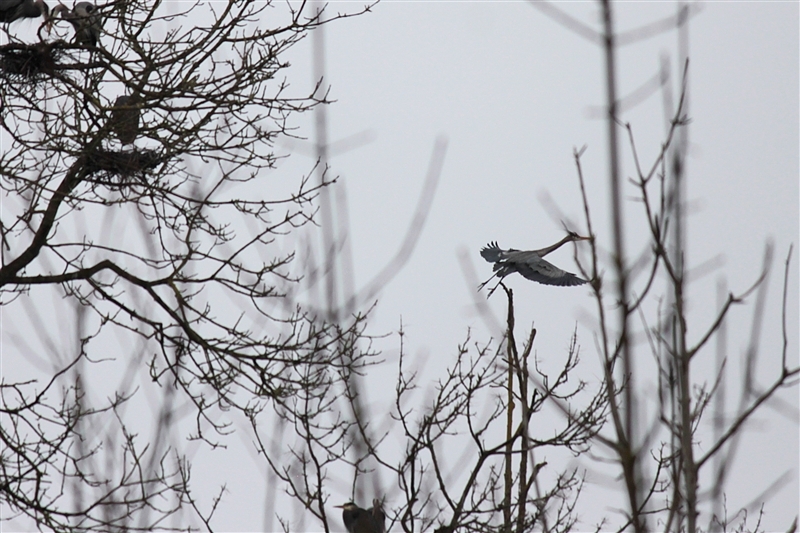 I spent a little time down at the Kenmore heron rookery in mid-February watching, listening (quite spellbound by the crazy noises being made) and taking pictures. It appeared that the heron were in the midst of fixing up nests, showing off to potential mates and being very territorial. 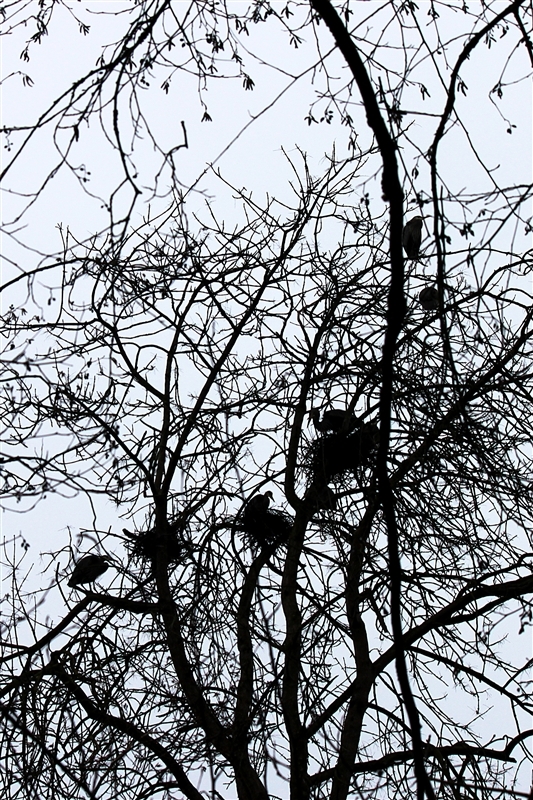 I regret that I didn't make a sound recording while I was there, because in the times that I have been back there since I have not witnessed the same cacophony. 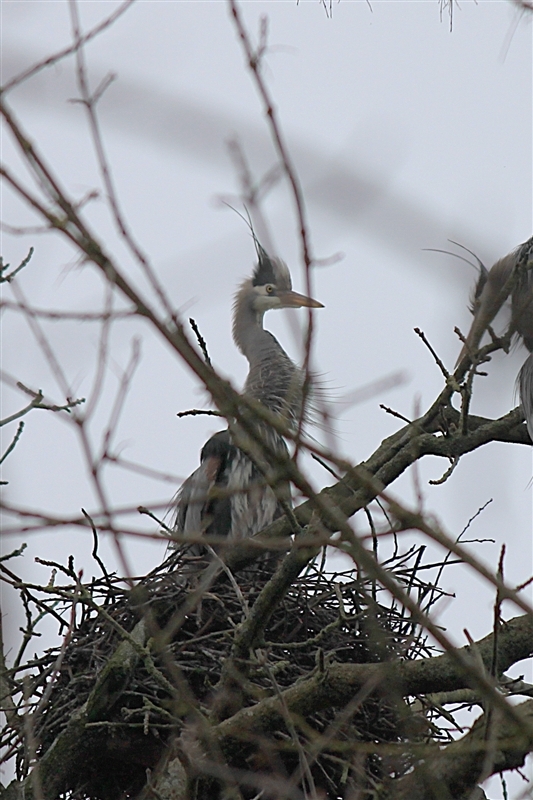 That sleek neck turns into quite the bottle brush! I didn't realize that those long, dark head feathers would stand straight up like this. 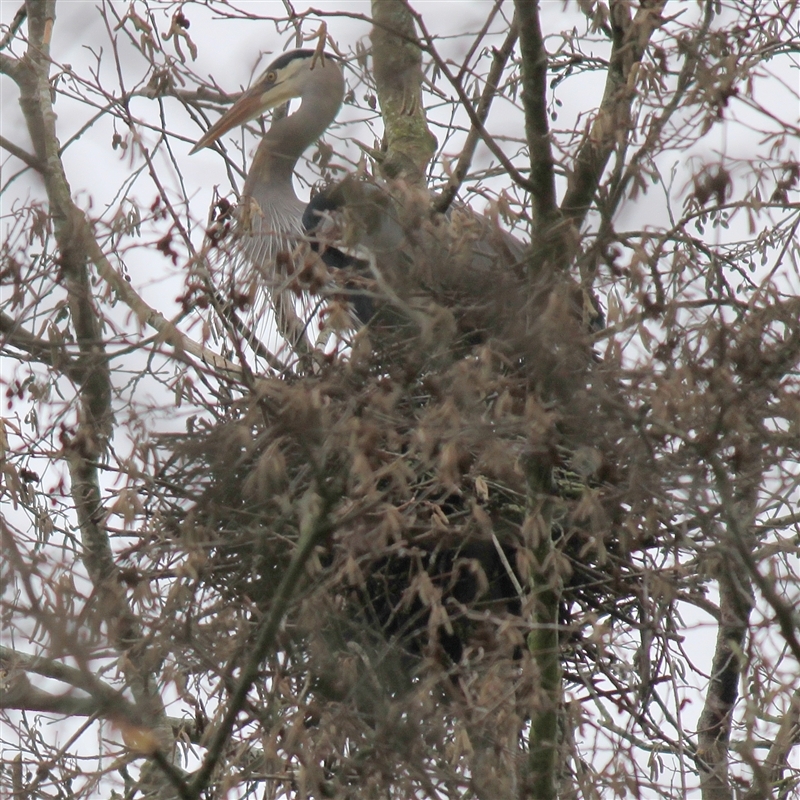 A Metro bus driver who was on his break at the Park and Ride told me that the babies make quite a racket. 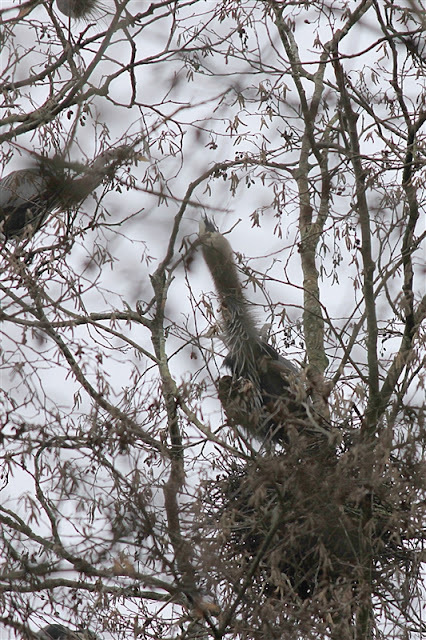 So I still have a chance to record some crazy sounds down there.